Rice is a popular staple in many diets. White rice is the more widely consumed type but many have turned to brown rice as a healthier option. Both types are mostly composed of carbohydrates and contain very little protein and fat. Brown rice has about 30 less calories per serving than white rice, but this small caloric difference is marked by other factors that differentiate which rice becomes the better health choice. Brown rice is a whole grain and contains all of its grains including fibrous bran, nutritious germ and endosperm. It also contains vitamins, antioxidants, minerals and fiber. For example, 100 grams of brown rice contains 1.8 grams of fiber. But it also contains high amounts of magnesium. Both of these nutrients help control blood sugar. It also contains a plant compound called lignan which helps protect against heart disease. Lignans lower blood pressure, reduce the amount of fat in the blood and can decrease inflammation. Brown rice does contain phytic acid, known as the “antinutrient,” which is known for impeding the body’s ability to absorb other nutrients including iron and zinc. This type of rice also contains arsenic, which is a toxic heavy metal. Arsenic is associated with increased risk for type 2 diabetes, cancer, and heart disease. When you purchase white rice in the store, the bran and germ have been removed — the most nutritious part of the grain — and it is no longer a whole grain. White rice is also associated with empty calories due to its lack of nutrients. Unlike most grains, this rice lacks fiber (100 grams = 0.4 grams of fiber). Eating large amounts of white rice has been associated with an increased risk for diabetes. It is high on the glycemic (GI) index, so it does quickly increase blood sugar. On the GI index, brown rice is 50 whereas white rice is 89. Sticking to ½ cup which is one serving of rice is no easy feat for rice consumers. It just pairs great with, well….everything! 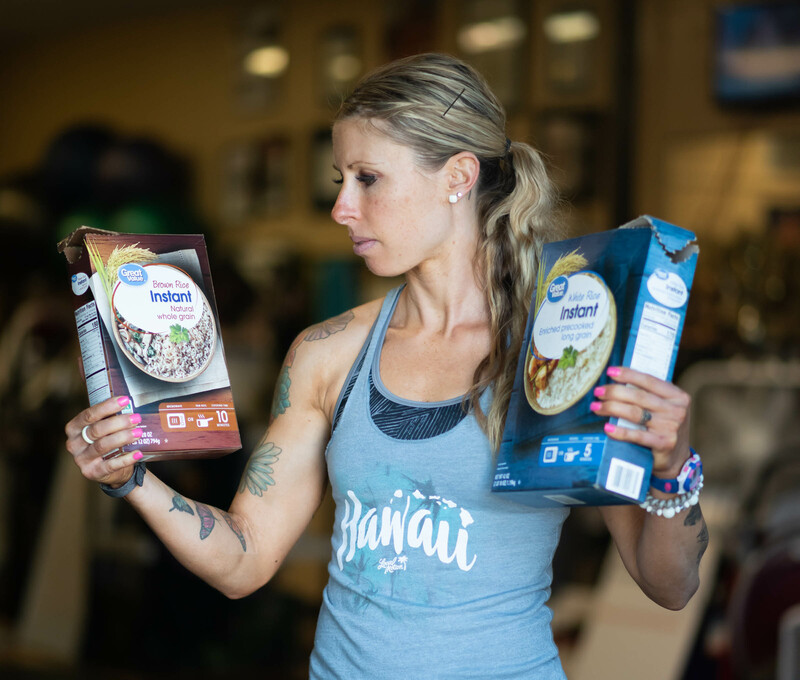 The Lifestyle of the FIT & Healthy knows when it comes to which type of rice is better for their health, all taste opinions aside, brown rice is the winner. In fact, there wasn’t much to say about white rice because it is just an empty carbohydrate. There’s always a catch right? The more informed you are, the better choices and tools you have to make for your health.